The Granbury tornadoes have killed six and left seven people unaccounted for. The largest and deadliest of the Texas tornadoes was classified by the National Weather Service as a category EF4. The stormsa stuck overnight, leaving a path of devastating destruction. Several hundred homes were damaged or destroyed, and numerous people were injured in the wake. Seven people are still missing from the Ranch Brazos neighborhood. Hail described as “fist sized” preceded the tornado, alerting residents to the severity of the storm. Unfortunately, the Granbury tornadoes still claimed the lives of at least six area residents. As reported by ABC, authorities and rescue workers continue to search the rubble for survivors. Officials with the utility company estimate around 20,000 homes are without electricity. In addition to the Granbury tornadoes, several others were spotted in the surrounding area. Cleburne, Texas,experienced structural damage from a reported tornado, but no serious injuries or deaths were reported. Downtown Ennis, Texas, experienced extensive damage along another tornado’s 2.5 mile path. Officials estimate that around 65 homes and commercial buildings were damaged or destroyed. A reported tornado in Millsap caused structural damage to several buildings. However, nobody was injured in the storm. NOAA.gov offers several suggestions in reference to tornado safety. They suggest that families should discuss and secure a tornado plan. Families are encouraged to include secure shelter and a meeting place in case family members are separated. Experts suggest preparing for a tornado as soon as a watch is issued. Families should listen closely to weather reports, and prepare to take shelter quickly if necessary. 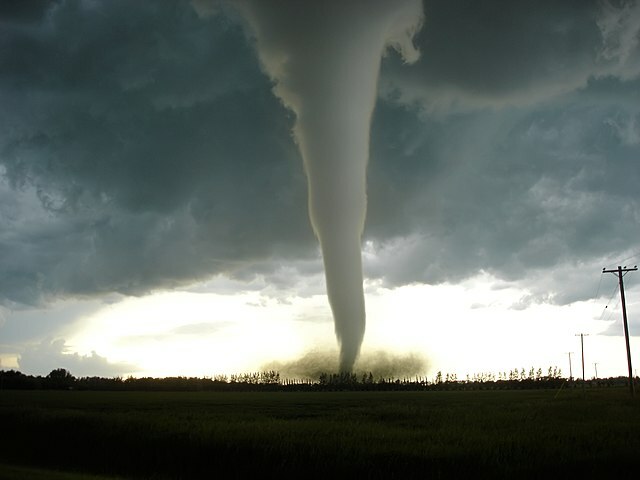 Some signs that a tornado is imminent include, rotating clouds, hail followed by eerie calmness or a shift in wind pattern, a continuous roaring sound that persists, and lightening flashes at ground level. Texas continues to recover from the Granbury tornadoes. The images of devastation are a grim reminder of how deadly nature can be.